Monrovia – Lamenting what he calls the deteriorating state of lawlessness in Liberia in the wake of the latest attack on his Roots FM 102.7 radio station Monday, Talk Show Host Henry Costa says he is prepared to hire people who have knowledge and expertise in using guns in a bid to curb repeated attacks on his facility. “The next time you come there, people will die and they will die at my instruction,” Mr. Costa vented in a Facebook post Monday. Mr. Costa’s vent came just hours after he was dealt yet another blow to his highly-rated early morning talk show when the station’s office was burglarized for the second time in days, this time, attackers took away the transmitters along with other equipment. Mr. Costa, who is currently studying in the United States of America, said he learned of the incident when he woke up Monday morning and was greeted to hundreds of whazzap and Facebook inbox messages inquiring what was going on with his station. Said Mr. Costa: “I am very disturbed; in fact, disturbed would be an understatement. What I feel is worse than that. I woke up this morning only to hear that our radio station was attacked again – for the second time, in less than two weeks. I don’t know what to say – how mindboggling it is; the same people I guess would stage an attack for the second time in days – just when they did another one a few days ago- why would people do that. This time, the attackers succeeded in taking all of our broadcast equipment away. I saw the pictures on Facebook – that’s how I learned of attack on my own radio station. And I told you people during the elections that we were headed for a dictatorship where they would try to muzzle us and stop us from speaking. Some of you just thought I hated the CDC. I don’t hate anybody. This is exactly what we have, we have a dictatorship on our hands – they will do the best they can to suppress those who criticize them, those who tell them the truth. Despite the attack, Mr. Costa says he is not deterred but acknowledged that he is broken by the attack. 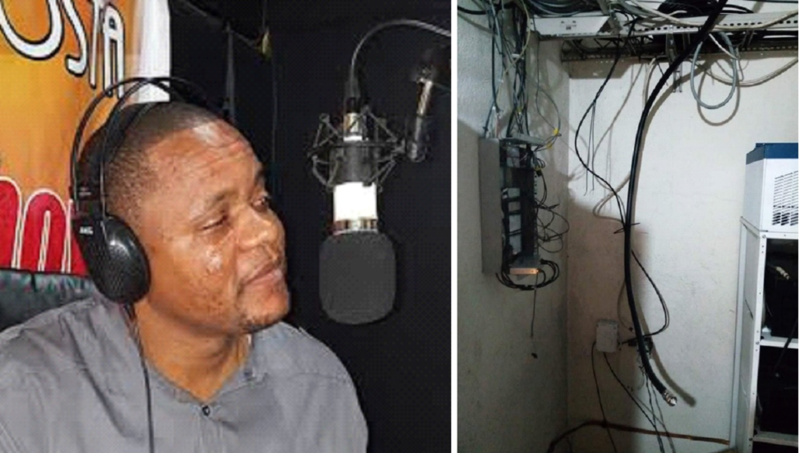 He slammed the Weah-led government for not addressing the wave of attacks on his station, the latest which could keep him off the air for some time. “The government will say nothing about this, in fact, they are celebrating. They have said nothing and will say nothing. They said nothing after the last attack and they will say nothing after this one. They are celebrating, they are happy about this. Their masters are happy that this has happened to me but they are not going to succeed because I will get back on the air. The latest attack on Mr. Costa and his station is drawing criticisms from far and wide. Mr. Abraham Darius Dillon, administrator of the Darius Dillon Intellectual Exchange said the incident was targeted.